I love Young House Love, and am using them as an example again. 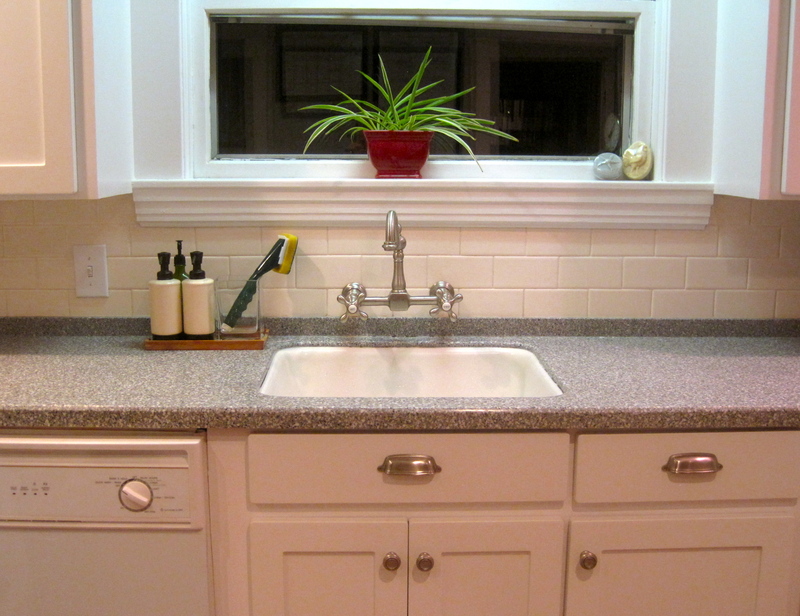 Here is there redone kitchen, and I love its simplicity. Today’s Organizational Tip is simple. We group kitchen items on little trays. I didn’t really realize we did it until I saw something on YHL, but more on that at the end. We began by grouping our most used seasoners . 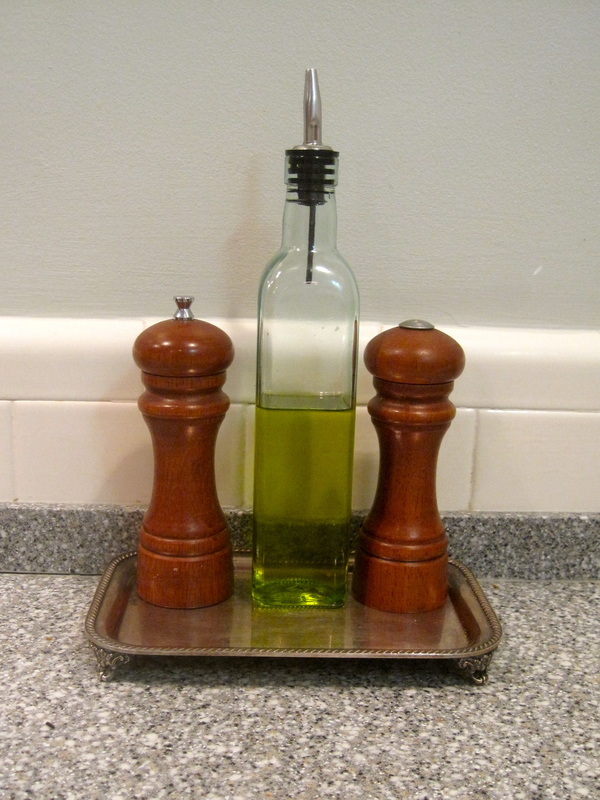 . . salt, pepper, and olive oil. 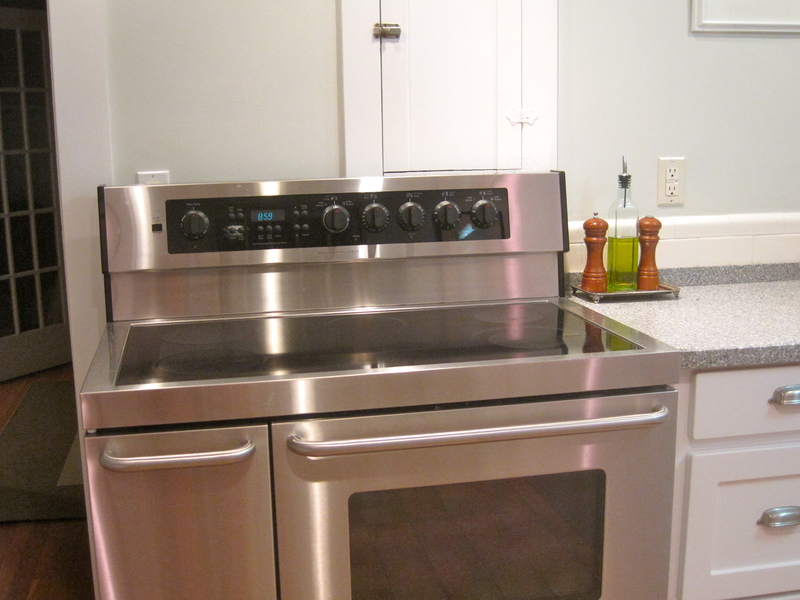 It sits by the stove for easy access. 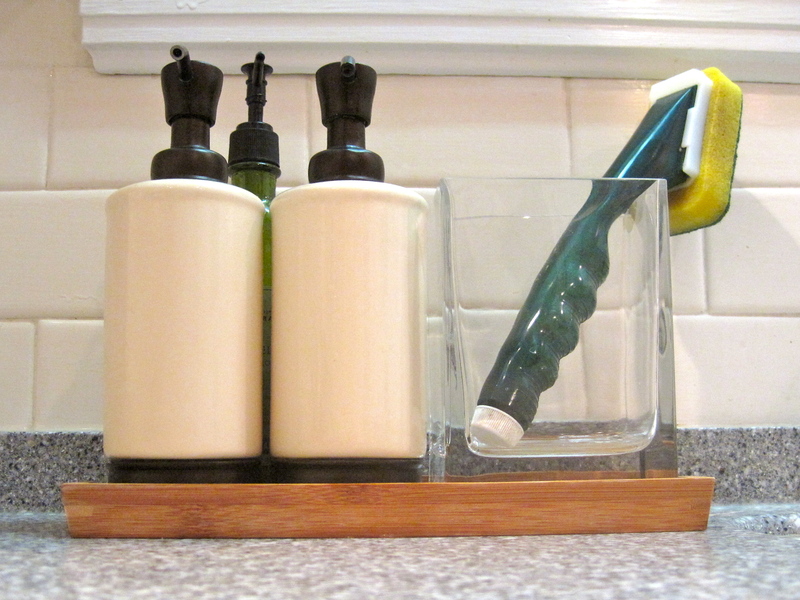 We group the soaps by the sink . . . they need labels (I haven’t found any yet and am open to all recommendations). We have hand soap on the left, dish soap on the right, and lotion behind the two. That unsightly sponge in the vase is not ideal, but it is functional. It is convenient and neat and everything we need is beside the sink (there are sponges in that little half drawer directly under the sink). Then something similar arrived at Target, I have stopped to contemplate buying it a number of times . . . but for now, we like out little soapy grouping. Organizational Tip: Group like items on a small tray to keep things neat and handy.